We’ve worked with Combs Law Group, P.C. for several years now managing their website. As is recommended for most business with an online presence, the firm wanted to redesign the website to bring their brand and message current and capitalize on current and improved design and user experience trends. Perhaps even more important was the previous site was not mobile friendly, and the firm’s traffic comes almost 50% from mobile users. We went through a complete overhaul of the website, evaluating brand, messaging, content, and user experience. 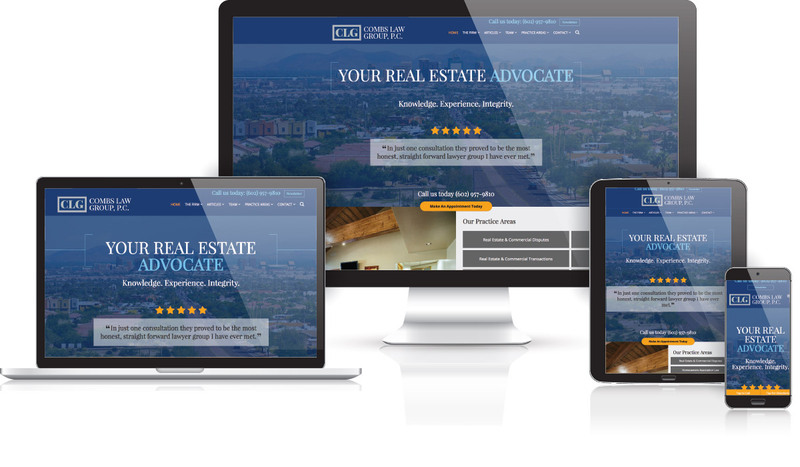 The result is a more streamlined, content-rich, easy to use site that delivers in a big way for Combs Law Group, P.C. prospective clients.